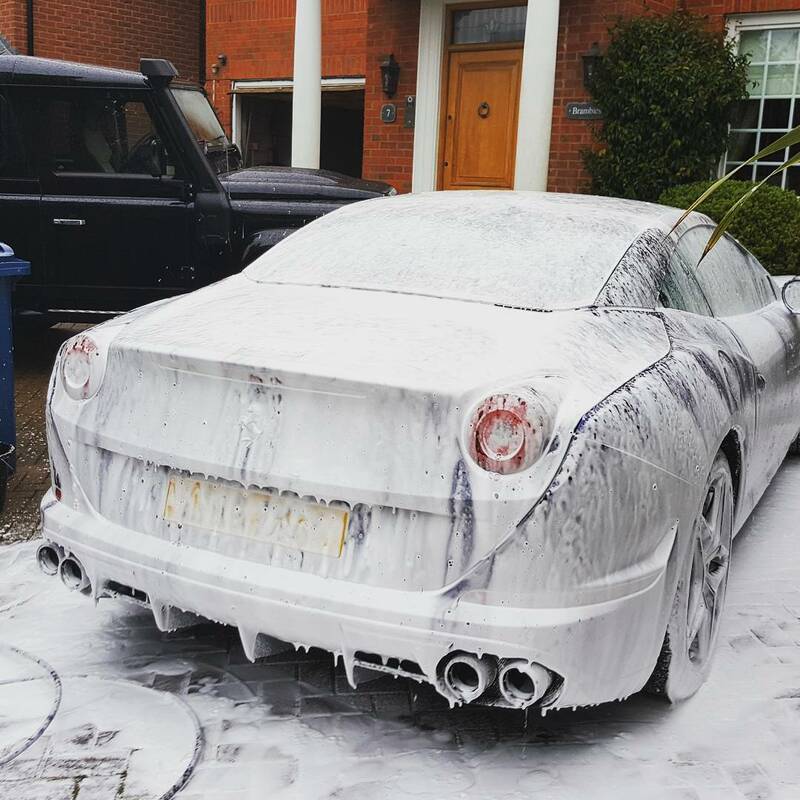 Every Supercars Valeting begins with a luxury car wash, designed to remove dirt and grit without adding any swirl marks to the paintwork. First, the team applies a citrus degreaser to the lower half of the vehicle, paying special attention to areas like wheels, arches and door shuts, where grease and grit can gather unseen. A gentle rinse is carried out using purified water at an optimum 35?C and then they applies a snow foam, rinse and then full wash, using a specially formulated pH neutral shampoo and a natural sea sponge, which is softer than synthetic sponges and wash mitts. Once everything is washed and rinsed, the car is dried using ultra soft towels and a frictionless purified air supply.